As the weather warms up, many homeowners start heading outside to enjoy their yard again—and wondering if there are ways to make their yard even better. Adding outdoor lighting to your landscape is one option we like here at Blooms Landcare; lighting can help increase your home’s value, improve safety, and make it more attractive. Know the types. Outdoor lighting usually is installed in one of three ways—task, overhead and ambient. Overhead lighting improves visibility on walking surfaces, such as steps or paths, while task lighting focuses on work areas like the kitchen. Ambient lighting is used to brighten the whole space. Remember security. Lights near the doorways improve safety, as long as the lights are directed outwards instead of into the eyes of the homeowner. Motion detectors are also a good idea. Build outdoor “rooms.” Outdoor lights can be used to mark off different parts of your yard, creating barriers and distinguishing areas from each other. Avoid glare. Don’t make the lighting too bright, because this can be annoying or even blinding. 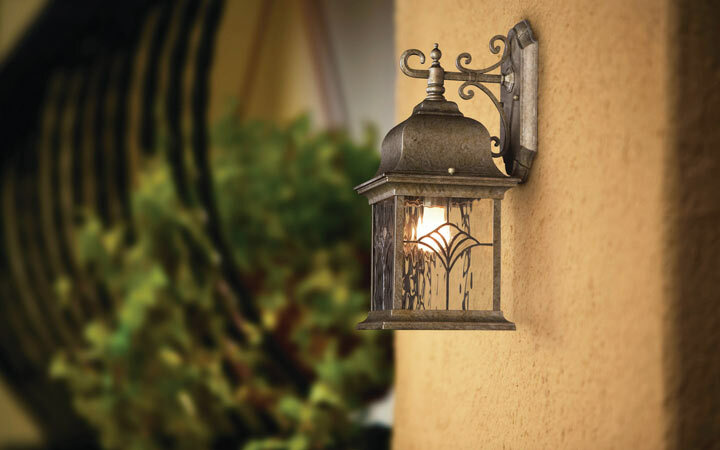 Outdoor lighting is one good way for homeowners to increase safety, beauty, and the value of their home. Here at Blooms Landcare, we’re willing to help with your Fort Worth lighting needs—give us a call at (817) 688-5352. Source: The Fallbrook Village News, “Lighting can set the stage for outdoor fun,” January 30, 2014.